Connecticut, Massachusetts and All of Rhode Island. 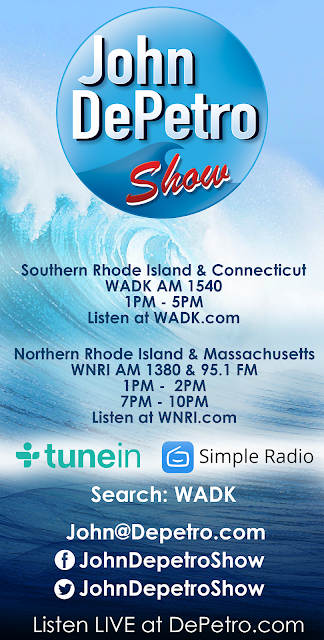 Listen to the John DePetro Show afternoons from 1:00-5:00 PM. Make sure to watch the show each day on "Facebook Live," John DePetro Show on Facebook. Call in at 401-846-1028 or email John@DePetro.com.